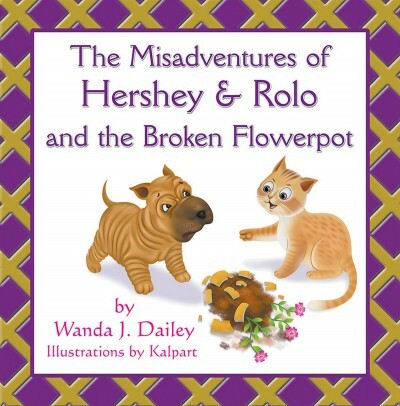 The wonderful children’s book The Misadventures of Hershey & Rolo and the Broken Flowerpot describes the relationship of a dog and a cat who just happen to be best friends. Their story describes the unique and unlikely bond between the animals that tests them at every turn, even when a flowerpot is broken. It’s also about telling the truth and delves into how true friendship works. Hershey the dog and Rolo the cat were the real-life pets of the author and were true friends until Hershey passed away. This is their wonderful cat and dog’s tail (or tale).